▶ Running time : 90 min. Nanta Theater is Korea's first exclusive venue for Nanta performances, which are based on the rhythm of the samulnori (traditional Korean percussion quartet) and are comic non-verbal plays set in a kitchen. Nanta has been a sell-out success at the Edinburgh Fringe Festival in the UK and was also the first long-running Korean show on Broadway in New York City. The shows have been so successful that they now run at three exclusive theaters in Seoul which are equipped with special lighting and sound systems to create maximum audience impact. 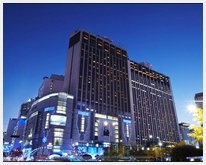 Around 380,000 international tourists visit Nanta Theater every year. How Nanta Conquered the World? At Nanta Theater, the show "Nanta," is performed every day. As a non-verbal show, it transcends language barriers and has been a huge hit with critics and audiences around the world. In fact "Nanta" boasts the highest attendance figures for any show in the history of Korean performing arts. When the lights dim and the music begins, audiences of all ages are immediately transfixed as performers play percussion on kitchen utensils including knives and cutting boards, transformed into musical instruments. Nanta shows are also interactive and audience members are often invited on stage to join in the fun. ▶ Amazing skills and in stitches at the hilarity of the kitchen-based SHOW! ▶ The non-verbal show, don't worry about the language barrier, is not a problem! A Non-verbal performance integrates Korea’s traditional rhythm, Samulnori, with comedy and drama in the kitchen. Audiences of all ages and nationalities can enjoy. The musical has a simple back story of three cooks attempting to finish preparing a wedding banquet within a strict time limit while the manager installs his incompetent nephew among the kitchen staff. The show involves acrobatics, magic tricks, comedy, pantomime and audience participation. 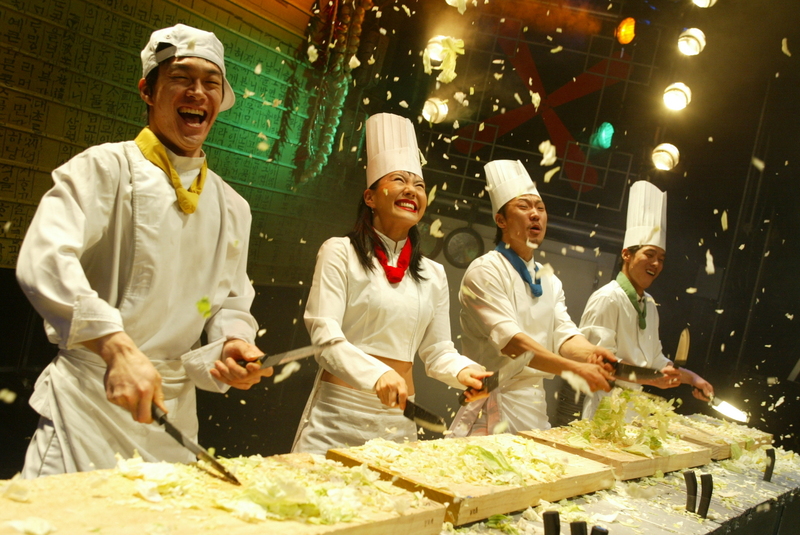 The unifying element throughout the musical is the use of traditional Korean samul nori music, which in this case is performed with improvised instruments, such as cutting boards, water canisters and kitchen knives. The performance is almost completely non-verbal. Nanta is the first nonverbal performance in Korea, which is only composed by rhythm and beats. 4 chefs are performing Samulnori (traditional percussion quartet) with kitchenware during the process of cooking for a wedding reception. 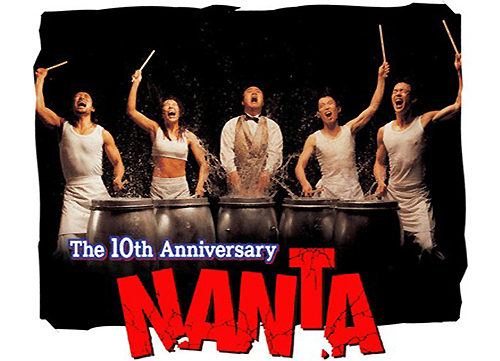 Nanta is the representative musical in Korea both nominally and virtually. It is also renowned overseas and already 10 million viewers watched this show.